Take time today to step back from all that is going on around you and just chill. There are things that have moved you in the past week that you need time to relish and reflect upon. Also these days, it is important to be aware of your dreams. 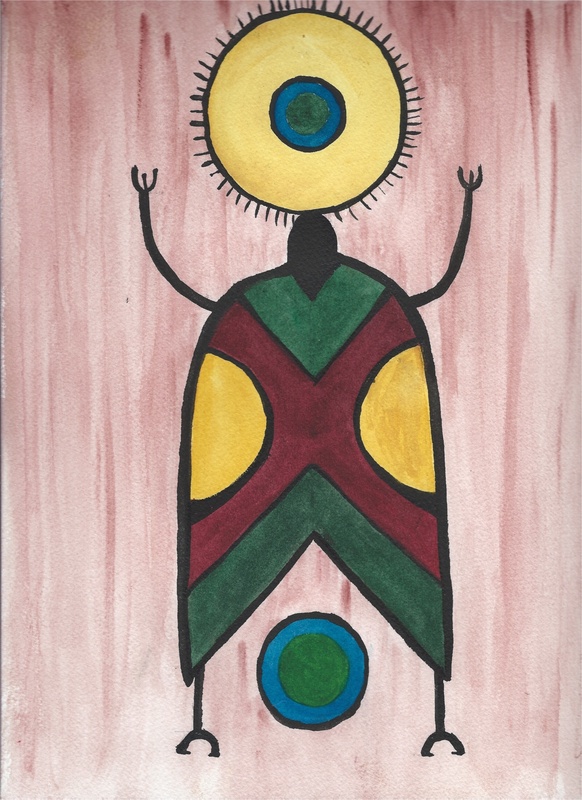 It is not necessary to remember them bit by bit, however there are some significant messages and images that are coming through the dreamtime right now, and they will be of assistance to you in dealing with some of the issues that are before you. This is a day for knowing what is meaningful for you and making that a priority. Another epidemic is sweeping across the world. According to experts, there are as many as 30 million people suffering from a form of thyroid disorder in the United States alone – and half of them are undiagnosed. That is a staggering 12% of the nation’s total population. Worldwide, approximately 430 million people are estimated to have a thyroid disorder. Strangely, there is little concrete information about this problem worldwide since many patients and their doctors mistake the common symptoms for something else. One serious cause of thyroid dysfunction is iodine deficiency. We get very little of it in our modern diet but iodine is a nutrient obtainable from food. It may seem overly simplistic to use food for thyroid health but it works and could be the answer in your particular case to getting this important gland functioning normally again. 1. Fatigue: Persistent exhaustion no matter how much sleep you get. 2. Poor Sleep Quality: Being unable to sleep or wanting to sleep all the time. 3. Mood Swings: Feelings of sadness or anxiety. 4. Appetite Changes: Changes to food preferences or altered taste. 5. Brain Fog: Inability to concentrate or difficulty with simple cognition. 6 .Bowel Irregularity: Bloating, gas, constipation, or diarrhea. 7. Temperature Sensitivity: You persistently feel too hot or too cold. 8. 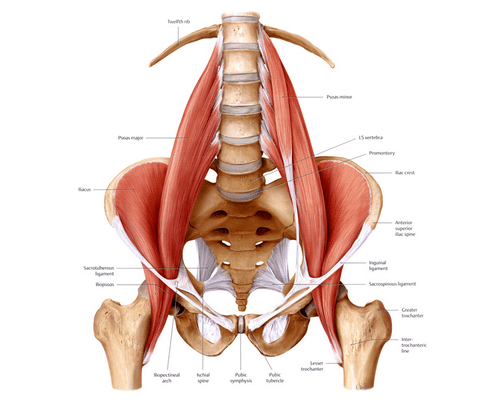 Chronic Pain: Aches in joints or muscles for no particular reason. 9. Reproductive Issues: Infertility, miscarriages, or premature births. 10. 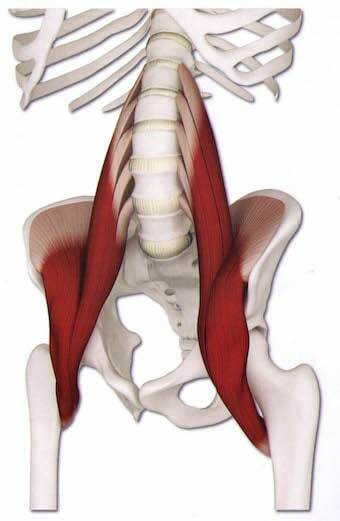 Menstrual Changes: An increase or decrease in cramps, flow, or length of periods. What Does Your Thyroid Do for You? The thyroid hormones thyroxine (T-4) and triiodothyronine (T-3) produced by your thyroid gland – a butterfly shaped gland in your lower throat – are responsible for managing your metabolism, body temperature, and blood pressure. Though this part of the endocrine system is small, it is mighty. It literally effects all of you because every cell and organ in your body use thyroid hormones. Hyperthyroidism (less common) is the term used when your thyroid produces too much hormones. It is also referred to as an overactive thyroid. This condition can result in unexplained weight loss, feeling jittery or anxious, inability to relax, lack of focus, rapid heart rate, fatigue, marked increase to appetite, deterioration of nails, skin, and hair, heart disease, irritability, sleep irregularity, and intolerance to heat. Hypothyroidism (most common) is the term used when your thyroid produces too little hormones. It is also referred to as an underactive or sluggish thyroid. You may notice no symptoms initially but they tend to worsen as time goes by. Deficiency in these essential hormones lead to feelings of fatigue, depression, obesity, pain in joints, muscle weakness, deterioration of hair, skin, and nails, heart disease, poor memory and focus, and intolerance to cold. Hashimoto’s Disease is an autoimmune condition. Your immune system malfunctions and sends out antibodies to attack thyroid tissue. Over time, the thyroid is beaten down and unable to function properly. The majority of patients with hypothyroidism test positive for these antibodies. It is important to keep your immune system strong and lower body-wide inflammation to prevent these antibodies from destroying your thyroid. Your thyroid is stimulated by signals from your brain (hypothalamus) and your pituitary gland tells the thyroid gland to either produce hormones or to hold back. When the signals are blocked or false, it can result in serious repercussions throughout your system. –Iodine or other nutrition deficiency. -Graves is a genetic autoimmune disease that stimulates thyroid hormone production. -Plummer’s disease is benign lumps that stimulate thyroid hormone production. -Pregnancy can trigger thyroid dysfunction. -Thyroiditis is inflammation that triggers excess thyroid hormone to flood the blood. -Physical, mental, or emotional stress may affect how your thyroid functions. -Environmental toxins are thought to play a role in dysfunction of the thyroid. This condition can affect adults, children, and infants. Newborns tested and treated early respond well and the practice has prevented poor mental development. There are synthetic hormones available (thyroid drugs are the fourth highest selling in the United States) that can eventually get your thyroid back on track. However, most patients have to have a thyroid that no longer functions for the synthetic replacements to work. Preventing the destruction of your thyroid in the first place is a far better solution. Currently, there is no cure for autoimmune diseases such as Hashimoto’s that cause extensive damage to the thyroid and result in conditions such as hypothyroidism. 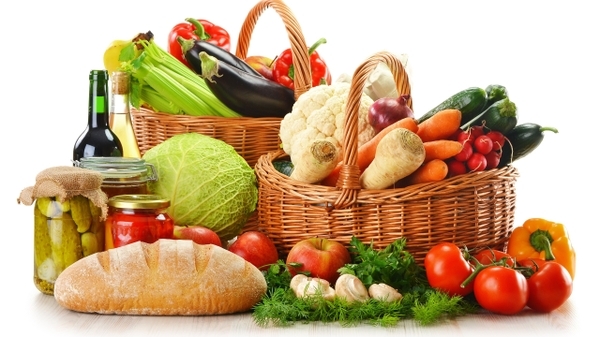 As with most autoimmune conditions, it is crucial to pay close attention to diet and lifestyle habits. It may not reverse thyroid damage completely but it will slow the advance and ease symptoms. Good choices for your thyroid benefits your entire body. All of your systems are connected and they depend on each other to function properly. Choosing the right foods for thyroid health are also good choices for your heart, brain, and gut. All of you will feel the difference. Originally published on Kelly Brogan MD. With nutrition and wellness information omnipresent, it is important that we follow our inner guide and discover what works for us as individuals. We are so saturated with information. With stimulus. With advice. With authoritative edicts on health. A chain of gurus have come before me seeking to guide patients into the light of wellness. 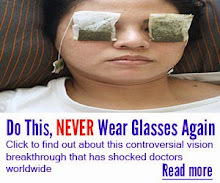 People are blinded by it, however. They feel confused, skeptical, and disenfranchised. And then they default to consensus and conformity around FDA standards of disease-care. There is a better way. It involves awakening your inner guru. Getting in touch with your own inner compass. This is necessary because there is no one just like you out there. No one has walked your path, accumulated your exposures. Grown and changed in response in quite the same way. Modern medicine doesn’t acknowledge the vital importance of biochemical individuality. About how we are a unique collective of organisms, an ecology within that is connected to an environment without like a snowflake in a winter sky. So, it only stands to reason that we would interact with our environments uniquely, and support ourselves through nature in a personal way. Nutrition is, perhaps, our most intimate dance with the living ecosystem of this planet. Weston A. Price tried to tell us about individualized diets. Francis Pottenger tried to tell us about individualized diets. Dr. Nick Gonzalez tried to tell us about individualized diet. They were, in many ways, speaking a Truth that we weren’t quite ready to receive. This is because we have been programmed, for decades to believe in an automated universe – one that could be explained neatly through scientific cause and effect – and one that interfaced with our robotic bodies in predictable ways. In this model, nature is “mostly stupid” as Alan Watts would say, in that it could be easily mastered and put in its place of subservience. Germs are tedious annoyances out to get us. Diseases are mistakes. Medications and vaccines are applied to one and all. And food is caloric fuel for our body machines. When you look at food as part of our relationship with the living world beyond our skin, you understand that it is information, energetic, and complex in ways that we don’t have mechanisms to understand. This is why reductionist concepts like the “glycemic index” have always struck me as a misguided construct. Now we have a brilliant study, perhaps one of the first of its kind, that decimates this false flag of nutrition consciousness. Published in Cell, an Israeli group of researchers followed 800 people with a prescribed diet for one week, assessing biological parameters from blood sugar to their microbiota. What they uncovered was a clear signal of Truth: the same foods affect different people differently! Even obese, diabetic patients following formal dietary recommendations for a “healthy diet” found surprising information on the effects of foods such as tomatoes on their blood sugar. Of course, we know that there is more to the benefits of a diet than its benevolent relationship to blood sugar. We know that microbiota have a meaningful role in the metabolism and impact of foods on the body, and that food can directly impact the microbiota, enhancing strains required for its digestion. Because nutrition is one of the most basic concepts, our confusion is emblematic of how far we have come from intuitive living. This is why, the most profound healing involves a transformation of consciousness, a reclaiming of agency, a connectedness to the inner and out communities we thrive with, and a relationship to intuition. I ask my patients, after 30 days of a whole foods, organic diet, to begin to observe their preferences for pastured red meat, fruit, and leafy greens. This observation requires mindfulness around eating and a daily practice of meditation (even a couple of minutes!) to clear the clutter so that you can actually feel what is best rather than reacting from your head. Because you are your own best healer. Dr. Steven Greer, Deep National Security State, UFO’s, etc. 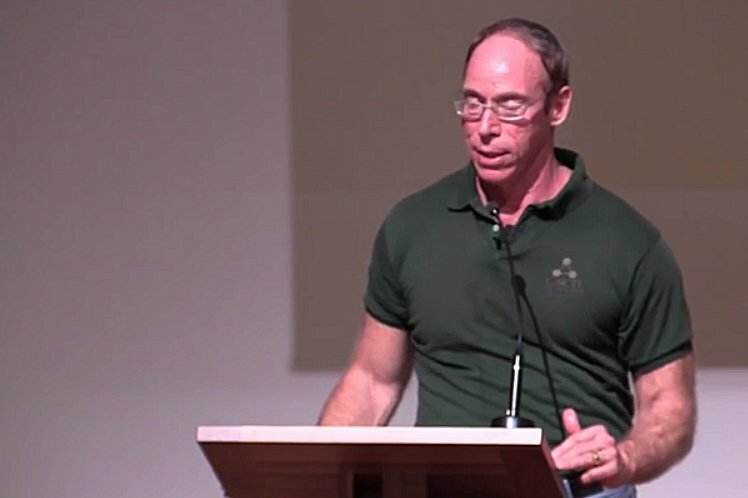 New Steven Greer disclosure video! Marilyn Monroe’s involvement (see 41:00). It’s a long talk, but well worth the listen. So grab the non-GMO popcorn and lemon water before you hit the armchair. Time once again appears to be behaving strangely. Not just the surreal blender of the whirled news, but the little slippages here and there, abrupt realizations that it’s not the time or date you thought it was. Things like that. Are you noticing? Time moving very quickly, strange sort of head spinning feelings when trying to track your thoughts, memory lapses, sense of fatigue for no good reason, or ringing in the ears with a touch of vertigo? It’s freaky. There are a lot of influences at work right now. Some good, some bad. Perhaps we may have hit the edge of the wormhole in some sense. Or are there competing wormholes? That’s an exotic thought perhaps. But that’s what appears to be happening in many ways. The overall perspective of the awakening was easier to see from afar just a year or two ago. Now the picture is getting muddled and appears like a hodgepodge of swirling influences and resultant reactions. Things are mixing together like the colors in a young child’s finger painting. It’s apparently because we have entered some kind of vortex perhaps, where time and space subduct like esoteric tectonic plates. What we’re seeing in the surreal whirled about us is just another manifestation. The rapid acceleration of their plan is designed to throw us off, much like fast changing scenes in an action movie. If you get swept into it the results can be distracting and very disempowering. We need to be careful to dodge the spiraling flak while maneuvering into and even reveling in the true energetic vortex. It’s nothing to fear as long as we’re aware of what’s going on around us and stay on our toes. The changes are changing and the winds are picking up. It’s a great time for letting go – but it will not be a pleasant ride for those who refuse to loosen their grip. Who knows the full plan? But we can track and watch and learn and experience. Knowing it’s all just a ride will save our spiritual hineys and keep our engines cooled during all this insanity. It’s a strange dichotomy – watching the pre-placed dominoes fall yet being so enraptured with the awakening that’s happening, with so many catching on to what’s really going on. That’s the part I like to tune into but I have to admit this other stuff whirling around us doesn’t make it easy. It’s clearly happening at a faster rate as the whirled stage antics escalate, yet it’s hard to put your finger on in many ways with all the crap we’re being told and so many swallowing the almost unavoidable fear propaganda campaign being waged. Some of those strange vibes you’re feeling are all the antennas picking up and resonating with this fear channel as the war on consciousness escalates. These and other signals interact causing a kind of wave interference. Steer clear of it. That is not the wormhole to be anywhere near. What we’re being shown by the big media projector is the exact opposite of what’s really going on. Thankfully dot connecting makes things very plain, and when you learn to speak that language, damn it’s clear. Funny thing about a wormhole – it can be a good one or a not so good one. These exterior manufactured influences are obviously meant towards more control and containment. Conversely, the positive spiritual influences are drawing us to deeper understandings, but they’re subtle and not that easy to identify in such an environment. Discernment is the key, but it takes manning the rudder and sails intelligently. The threats to the alternative and independent media they’re making aren’t anything new. Clearly they’ve pre-decided this staged Paris event would be a kick off to the next level of many of their programs. Massively increased war budgets are passing without a whimper of consensus or protest while the NATO countries try to make an end run to occupy Syria and overthrow Assad and stave off Russia’s clean up job, something no one else would do since as we know ISIS is the West’s creation. All while initiating draconian clampdowns anywhere and everywhere they can, fueled by continued terror events around the world which we’ll no doubt be seeing a lot more of to keep this tide of confusion rolling out. So, we’re again at a crossroads, a place we should all be familiar with since we’re constantly having to make decisions on what to let into our spiritual field. It’s important to be aware of what’s supposedly, yes supposedly, going on but more importantly it’s a time to dig deep and remain grounded in loving, encouraging truth. The whirlpools are spinning. We’re continually swept into more choices, and it’s much like vortecies pulling us in different directions. Most importantly, we’re being pulled into a wormhole of Truth and Transformation, one we’ve been in for some time, and we can’t lose track of that. So what do you do? Run in fear and hide from what could be a path to a greater reality and cling to the old world addictions to whateverthehell keeps you entrapped and ensnared? It’s an easy choice for me, thankfully. Adventure towards freedom vs trudging towards slavery should be a clear cut decision for anyone who’s even half awake. That may not be clear to those being played like pawns in the whirled matrix but it’s always obvious to the awakened. Don’t let yourself get confused or discouraged by all of this. We’re sailing through very choppy waters and we need to move forward with dead reckoning, knowing our direction and with full confidence in the ships of our lives – even if it leads to heretofore unexplored territory as we navigate around the whirlpools of deceit. Conscious, awakened truth calls, and it’s a place of safe refuge in times of rapid change and seeming uncertainty. I recently wrote an article “What We Can Learn From Dogs That Will Make Us Happier and Healthier Humans” http://www.huffingtonpost.com/lisa-zawistowski/10-things-we-can-learn-from-our-dogs-that-will-make-us-happier-and-healthier-humans_b_7772094.html. Cats, clearly, would want to share their wisdom too. They have a different view of the world than dogs and both make our lives richer. While dogs are seemingly more concerned with your happiness, cats are more concerned with their own. What follows are 10 essentials to being more successful in work and life inspired by observations of my own cats, friends’ cats, and those that just show up for breakfast and dinner. 1. I love you but I love me more. Love yourself first. Clean your fur often, get 18 hours of sleep per day (or the human equivalent), eat little bits throughout the day rather than large meals and pursue things that interest you. Set high standards for yourself in all ways and stick to it as if no other options exist. Make yourself a priority at all times, physically, mentally and emotionally. When you are healthy in every way, you will see a world ripe with catnip mice and opportunity. 2. Accept the gifts and honor the intention. I will occasionally bring you a dead mouse or bird (or mostly dead anyway). It’s a gift. Even if it isn’t a gift you want, I gave it to you because I love you. There are gifts everywhere. Notice them, search for them and honor the intention of the giver whether it be a cat, some inferior animal (anything not a cat), a human or from the universe itself. 3. Focus on what you really want and be relentless about getting it. “No” is not an option. I’m hungry. You will get out of bed now and feed me or I will keep batting your eyelashes and walking on your hair as I cross your pillow. I will be pooping on the floor next to the litter box until you clean it out for me. I need to sit on the porch and I know you would love to get up right now and make that happen. Do the work to get what you need and want and enlist others to help you. 4. You teach people how to treat you. Role model how you want others to treat you and, gently but firmly, do not accept anything less. I would love for you to pet me now so I will rub on your legs and show you my charming side. And if you walk away I will follow you. Ok, now I’ve had enough so I’m going to bat your hand with my claws just slightly exposed. Please do not pet me when I am not in the mood. 5. Act like you are royalty. Be confident on the outside even if you’re not always there on the inside. If you fake being self-assured long enough you will trick your brain into believing it! Royalty does not do tricks, wear frilly clothes or acquiesce to any other ridiculous requests that are beneath me, might dirty my fur, cause me stress or wear me out. If I do something it’s because it’s good for me in some way. Yes, I’m sitting above you, staring down at you. As it should be. 6. Appearance matters. Clean your fur and wear nice accessories. Unlike dogs who will happily wear anything, with my kind the collar matters. It should reflect my personality. Bling, studs or simple elegance. I need my collar and other accessories to make a statement of who I am. Like it or not, your appearance shares how you feel about yourself with the rest of the world. Even though you have eloquent words, if your fur and accessories are a mess you undermine your royalty. 7. Be independent. I rely on you for food and water because I am in your house but I mostly rely on myself. I know that I get me through every day and am responsible for my own happiness. I love companionship but I need downtime too. I am in charge of my moods, emotions and needs. 8. Respect is essential. I will claw you, or at least respond with complete and obvious disdain for an extended period of time, if you wake me from a nap, take my catnip toy, bring a dog home or otherwise disturb my environment. And don’t bring home another cat either. I’m enough. I need all the attention you have time for. Please do bring home as many fish and birds as you like. Respect for me and our shared environment will make your life with me easier and I will be happy. I don’t need much but I do love respect. 9. Walk through your fear. Climb to very high places like on top of the door, refrigerator or a top shelf even if you don’t know how you will get down. Go where you want to go in life and don’t be afraid. You always find your way home even if you don’t know how you will do it while you’re on the journey. Being paralyzed by fear is for lower animals with much smaller brains than mine or yours. 10. Keep moving forward. You will land on your feet when you fall. And then act like you meant to do that. Don’t hold on to the act of falling, hold on to the act of being on your feet after the fall. We all fall from time to time. Get up and go forward. I don’t over analyze why I fell, enlarge the fall to a debilitating story about myself such as “I can’t do it” or “I’m not good enough” or “bad things always happen to me” or blame the fall on someone else. I don’t generalize the fall to other bad things that have happened or could happen. I leave it at, I fell. On to the next adventure. While the advice dogs would give is more about emotional connection, happiness and love, cats are more practical and likely to teach you that obstacles and setbacks do not define you and that you are in control of your needs, emotions and goals. Both perspectives are correct and necessary for a happy, healthy and prosperous life. Sometimes you have to take a hard stance with yourself particularly when considering where you are now and where you want to be but live every day to the fullest because the present moment is the only one we know we have for sure. And if you are lucky, you have furry companions close by to remind you what’s important. The power structure is beginning to panic as the public wakes up to the criminal climate engineering insanity. The growing police state is completely out of control and becoming unimaginably blatant with their actions. In recent weeks Washington has placed “gag orders” on the employees of “The National Weather Service” (NWS), the “National Oceanic and Atmospheric Administration” (NOAA), and the “US Department of Commerce” agencies. This is a massive red flag that should trigger alarm bells everywhere. Some time ago I personally spoke to an NOAA scientist who said that “we all know it [climate engineering] is going on but we are afraid to speak out, we have no First Amendment protection”. Now, this new “gag order” is a further muzzling of the NWS and NOAA. We are officially living in an Orwellian police state where any who dare to try and tell the truth are dealt with severely. Forcing the employees of “national” weather and climate agencies to sign “confidentiality agreements is extremely alarming, with unimaginable consequences for potential whistleblowers. But it is not surprising, given what we know about the cataclysms being caused by the rapidly growing climate engineering elephant-in-the-room. Some may mistake the “gag order” on agency employees to be only about union issues, but this is clearly not the case, as quotes above (taken from the PEER reports) make clear. The decimation that has already been inflicted on our biosphere and all life from global geoengineering is so immense it could never be calculated. 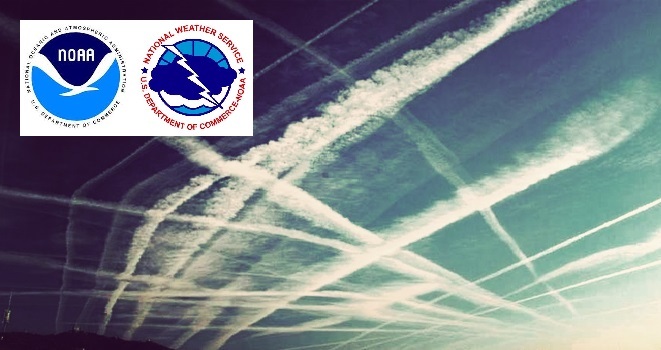 Weather modification programs are finally becoming all but impossible to hide, and the recent “gag orders” placed on weather reporting agency employees are a sign of true desperation on the part of the power structure. But it doesn’t stop there. The criminal behavior of other government agencies and organizations shows they are willing to do or say anything to poison the perspectives of our children. This short 5 minute video (below) highlights deplorable propaganda embedded in the US Common Core education syllabus. This Common Core test is shocking and enraging. Entitled “The Snowball”, the test scenario tells the story of a child who can’t properly make a snowball from the snow flakes falling around him due to the fact that “the government just couldn’t get the formula right” for the snow. This boy is then approached by a neighbor who professes to have an “authentic American snowball” in his freezer, stating that “it’s probably the last in America”. Clearly, Common Core is not about helping our children to expand their minds and perspectives; it’s about conditioning them to be obedient cogs in the wheel of collective insanity. Common Core is the power-structure’s tool for making our kids just another brick in the wall, teaching them through testing in school, to accept such propaganda as government-created snow as “normal” — and it is truly unacceptable. Inexcusable transgressions like those just outlined in the video above cannot be overlooked. The public email contacts of responsible parties should be posted and displayed everywhere possible. Such people must be placed on notice that we, the populations of the world, do not consent to their behavior. 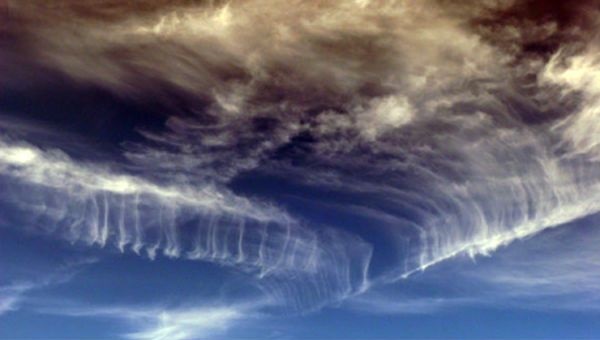 They should also be put on notice that at some point in the near future, the public will likely hold them legally and morally accountable as accomplices in the climate engineering assault by helping to cover the tracks of the perpetrators. In the meantime, protecting and properly educating our children is up to us. Do we inform them about what is occurring above their heads? Yes. Do we make clear to them that we are fighting for their future? Yes. Do we do everything in our power to provide them hope and the chance to be a child without an excessive burden? Yes. To truly show our love for the children of the world, we must fight for them with every breath we take, with every fiber of our being. It is this that drives me forward in this battle. We are fighting to save a future for our children. But too many in our society have rationalized their own personal pursuits of pleasure while claiming to love their children. The video below is particularly close to my heart, two of the voices in this video are from my son and my daughter. They have hope for a future because they know we are fully committed to them. It is time for all to stand and join this fight for our very survival, and the survival of our children. There is only now, make your voice heard in this all important battle to expose and stop the greatest of all human assaults against life on Earth, global climate engineering. Our children need to know that our lives belong to them. We must all work together toward sounding the alarm, there is not a day to spare. Now more than ever we must all keep up our pace in the battle to expose and halt climate engineering. My sincere gratitude to Mauro Oliveira for producing this video. According to the DSM-IV, the diagnosis guidelines for identifying oppositional defiant disorder are for children, but adults can just as easily suffer from the disease. This should give any freethinking American reason for worry. The Soviet Union used new “mental illnesses” for political repression. People who didn’t accept the beliefs of the Communist Party developed a new type of schizophrenia. They suffered from the delusion of believing communism was wrong. They were isolated, forcefully medicated, and put through repressive “therapy” to bring them back to sanity. When the last edition of the DSM-IV was published, identifying the symptoms of various mental illnesses in children, there was a jump in the diagnosis and medication of children. Some states have laws that allow protective agencies to forcibly medicate, and even make it a punishable crime to withhold medication. This paints a chilling picture for those of us who are nonconformists. Although the authors of the manual claim no ulterior motives but simply better diagnostic practices, the labeling of freethinking and nonconformity as mental illnesses has a lot of potential for abuse. It can easily become a weapon in the arsenal of a repressive state. “Is Free Thinking A Mental Illness?,” from offthegridnews.com, where this was originally featured.